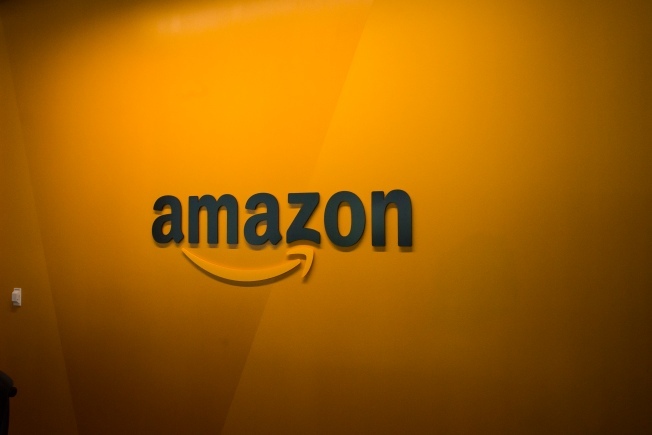 FILE - An Amazon logo is seen inside the Amazon corporate headquarters on June 16, 2017 in Seattle, Washington. Amazon, which is on the hunt for a second home, said Thursday that it narrowed its choices to 20 locations from the 238 proposals it received. The finalists are concentrated along the East Coast and in the Midwest. The potential locations include Boston, Chicago, New York and Columbus, Ohio. Los Angeles was the only West Coast city on the list. Both Texas and Pennsylvania had two cities that made the cut: Austin, Dallas, Philadelphia and Pittsburgh. In the South, Miami and Atlanta are being considered. And Toronto was the only city outside the U.S.
Amazon had stipulated in September that it was seeking to be near a metropolitan area with more than a million people; be able to attract top technical talent; be within 45 minutes of an international airport; have direct access to mass transit; and be able to expand that headquarters to as much as 8 million square feet in the next decade. But Amazon also made clear in that it wanted tax breaks, grants and any other incentives. The extra space will help the rapidly-growing company, which It had nearly 542,000 employees at the end of September, a 77 percent jump from the year before. Some of that growth came from Amazon's nearly $14 billion acquisition last year of natural foods grocer Whole Foods and its 89,000 employees.